Feel like playing a game??? 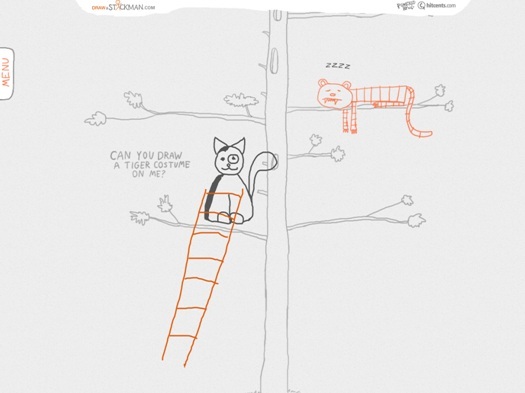 Come on and Draw a Stickman at www.drawastickman.com! 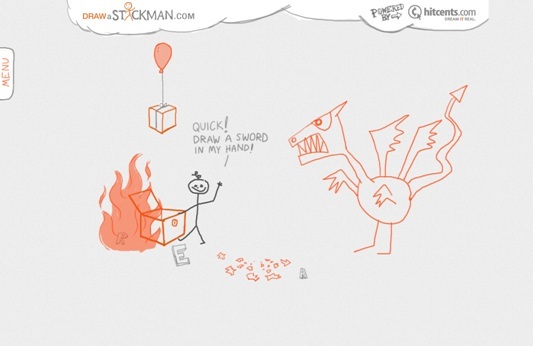 Select one of the episodes and use your mouse to draw a stickman! Here is mine for the first episode. Watch him get in trouble and help him make it through. 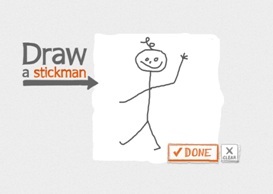 I am not gonna tell you what happens at the end, don’t just stand there, go draw your own stickman! Francamente me parece genial…!!!! Wow muy bueno..! Me gusta. I can’t draw with my mouse :(. Sorry. Awww, come on Paulaaa, try it, it’s easy! That was a great way to begin my day! Many thanks! Yeap! 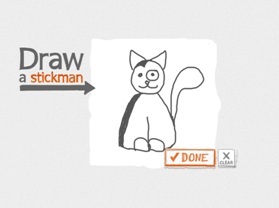 Did you draw a stickman nymph? 😛 Thanks, had to draw a cat in at least one of the episodes! I am going to pass this one to my teenagers, sounds fun. Creativity knows no limits and this game certainly brings in a lot of fun and imaginative challenges. I will check it out. I like your cat who can do a lot of things. A super cat with superpowers? Anything is possible! A friend had sent me this in an e mail. I was about to delete it because I thought it would be time consuming. I’m glad I didn’t. It was super fun. In fact, I’ve saved the url. Glad you posted it here. Perfect – it’s “his” B-day today, he will love this – great timing, can’t wait to play. « Avatar – Could this be real?